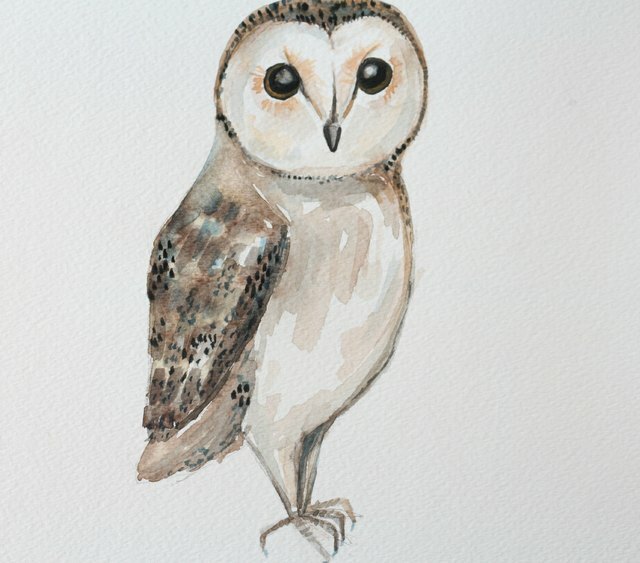 The legendary and mystical owl is often associated with Halloween, mystery and horror films. But these beautiful creatures are, in fact, very helpful to humans, serving as valuable pest control. 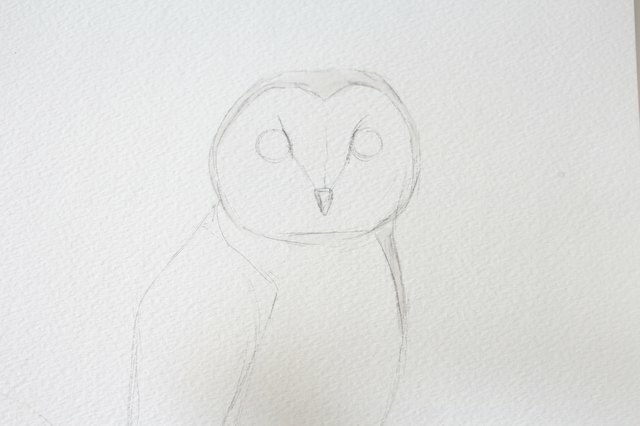 There are approximately 200 species of owls, but today we're going to learn how to paint a simple barn owl. 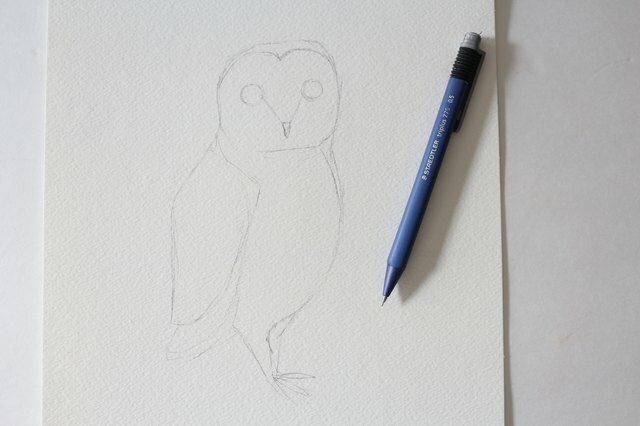 Lightly draw the outline of an owl on your paper. Using your No. 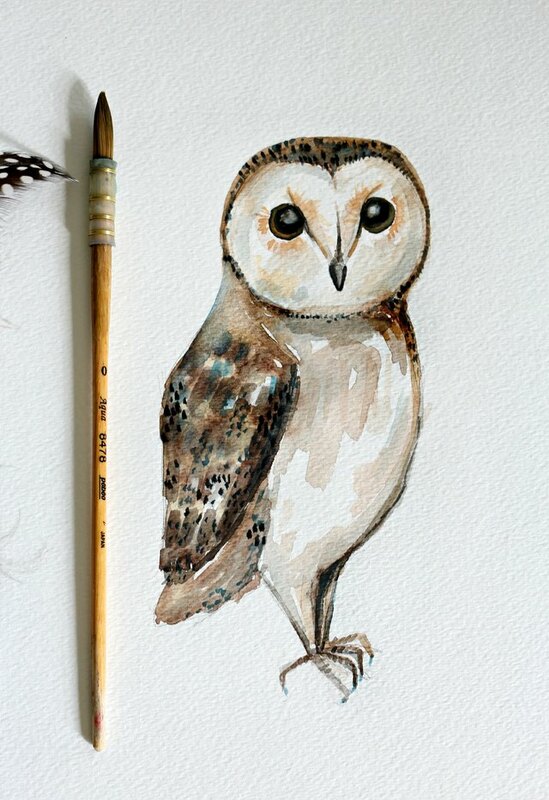 8 brush, paint the outline of the owl's head with water. Still using your No. 8 brush, paint over the water with brown paint. Continue using your No. 8 brush to paint the wing with water. Paint over the water with brown paint, leaving some random white areas. 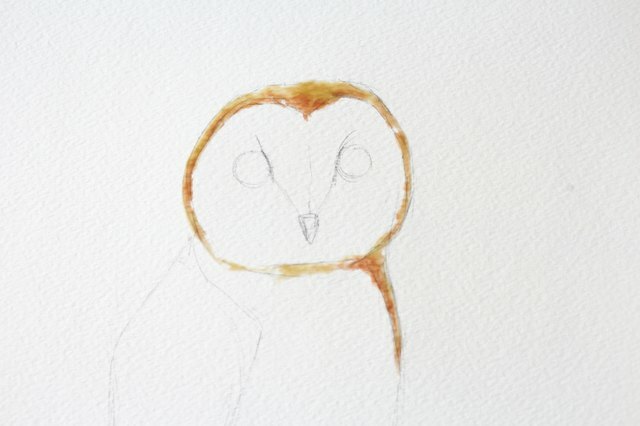 Dip your brush and mix brown, red and black paint together to form a darker brown (using a 1:1:1 ratio). Paint over the wet paint on the head and wing, still keeping the white areas paint-free. 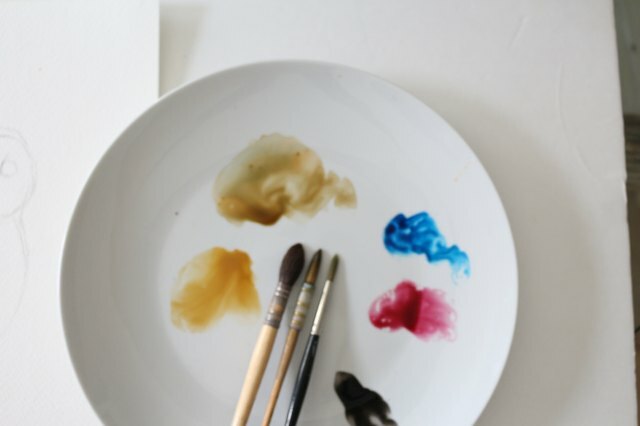 Dip your brush into blue paint and remove most of the paint with water. Paint in areas around the face and chest to add the illusion of shadows. 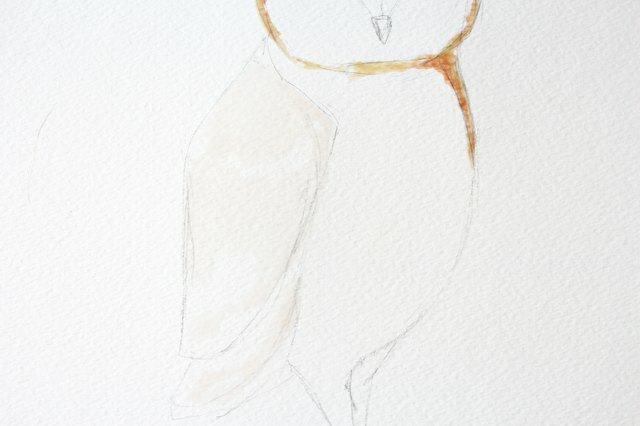 Also, paint in shadows along the beak. 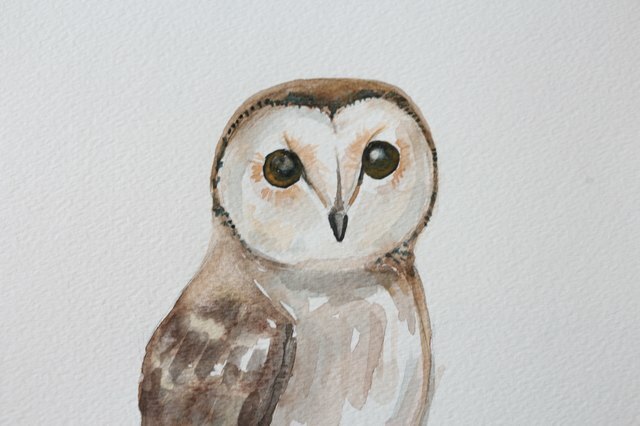 Dip your brush in black paint and paint the outline around the eyes and beak. 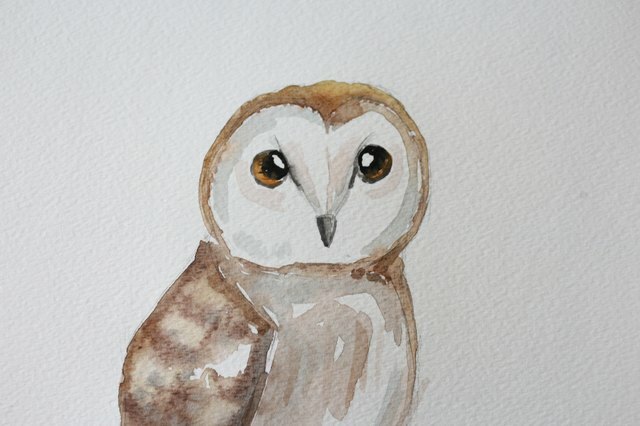 Use a stronger concentration of black paint to fill in the pupils, leaving white areas in both eyes for highlights. Paint the outer area of the eyes with brown paint. 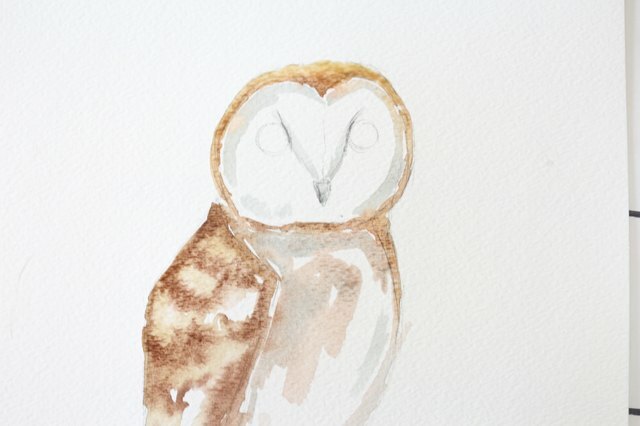 Rinse your brush and use the remaining brown paint to paint some shadows under the eyes and along the upper beak. 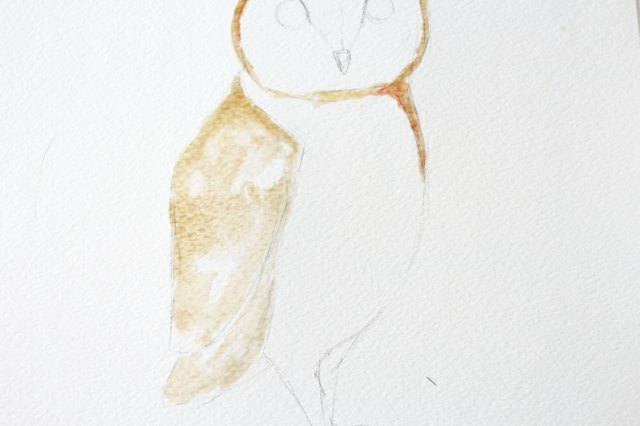 Use dark brown paint and outline the shape of the forehead with short, dot-like strokes. 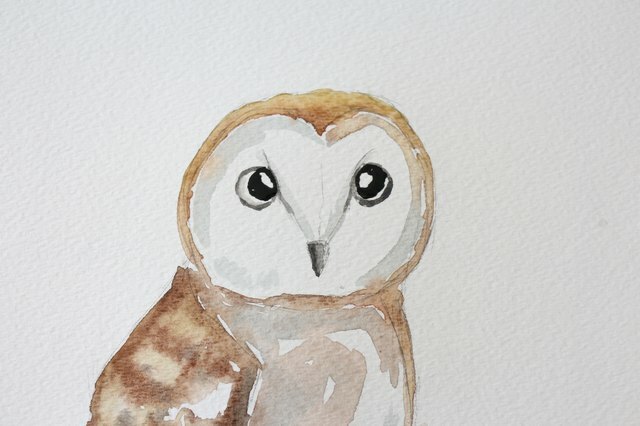 Rinse your brush and with the remaining paint, paint some fine strokes around both eyes. Mix blue and black paint (1:1 ratio) and paint a few irregular feathers on the wing. 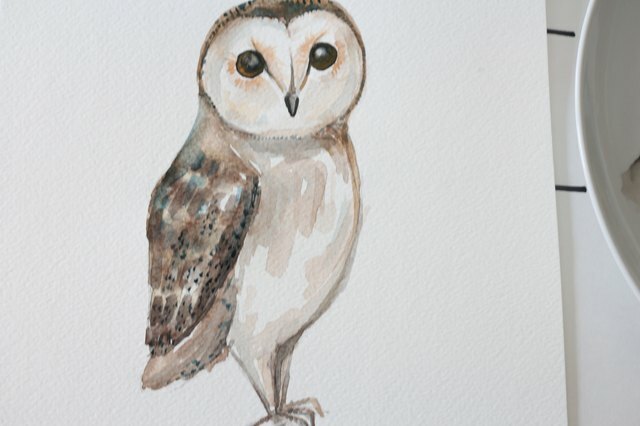 Using the same color, paint little dots on the wings and around the head, and also outline the remaining portion of the owl's body and feet. Paint small dots with pure black paint along the wing as well. 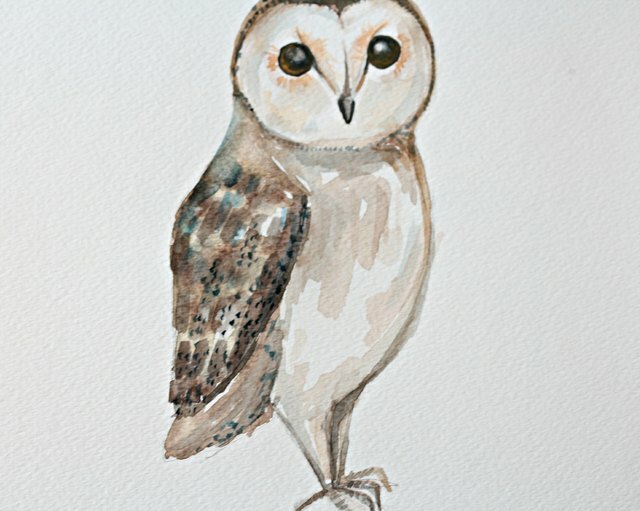 This will add texture and more detail to your painting. 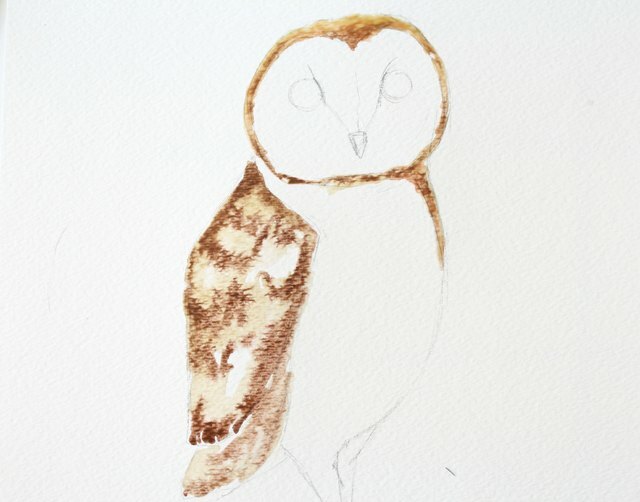 Continue to add more detail by darkening or adding more layers of paint. 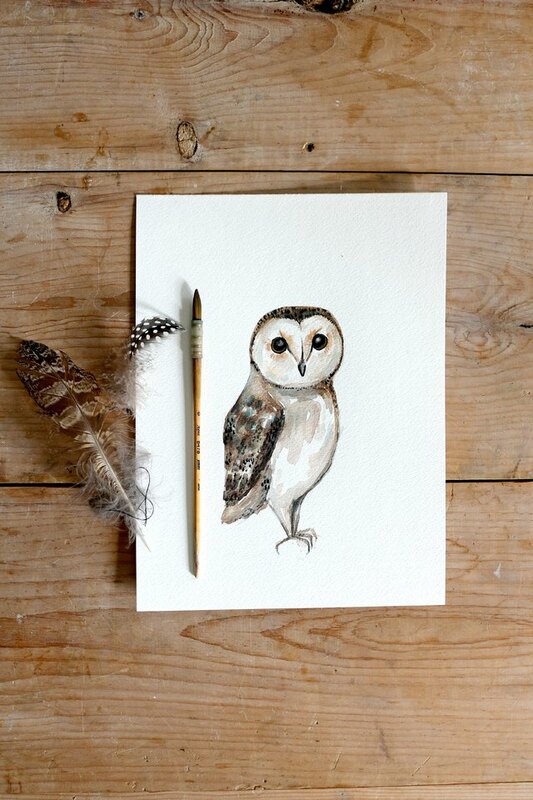 Once the paint is dry, erase any pencil marks and enjoy your sweet barn owl.